ART-SER - Seguretat Arsol S.L. REF: R-617. TEXTO: SIN TEXTO PICTOGRAMA SALIDA IZQUIERDA. MEDIDA: 15 X 9. MATERIAL: PEGATINA. F: R-616. TEXTO: PICTOGRAMA SALIDA IZQUIERDA. MEDIDA: A4. MATERIAL: ALUMINIO. FOTOLUMINISCENTE. REF: R-617. TEXTO: PICTOGRAMA SALIDA DERECHA. MEDIDA. A4. MATERIAL:ALUMINIO. FOTOLUMINISCENTE. REF: R- 617. TEXTO: PICTOGRAMA SALIDA DERECHA. MEDIDA: A4. MATERIAL: ALUMINIO. FOTOLUMINISCENTE. REF: R- 106. 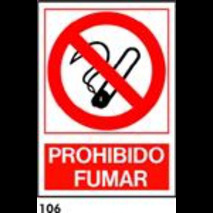 TEXTO: PROHIBIDO FUMAR. MEDIDA: A3. MATERIAL: BANDEROLA A3. IDIOMA: CASTELLANO. 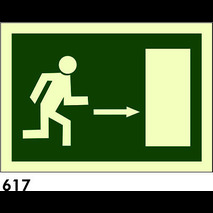 REF: R-616/R617. TEXTO: SIN TEXTO PICTOGRAMA SALIDA FLECHA IZQUIERDA. MEDIDA: BANDEROLA TECHO. MATERIAL: PVC. FOTOLUMINISCENTE. REF: R-617. 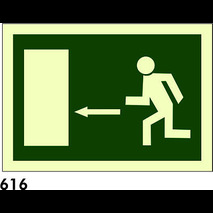 TEXTO: PICTOGRAMA SALIDA DE EMERGENCIA .DERECHA. MEDIDA: 12 X 8. MATERIAL: PVC. FOTOLUMINISCENTE. REF: R-504/C501. 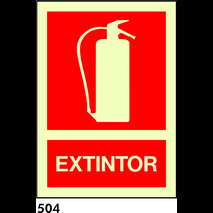 TEXTO: SIN TEXTO EXTINTOR. MEDIDA: 210 X 150. MATERIAL: PVC. FOTOLUMINISCENTE. REF: R-617. TEXTO: SIN TEXTO SALIDA DE EMERGENCIA DERECHA. MEDIDA: 21 X 10. MATERIAL: PVC. FOTOLUMINISCENTE.